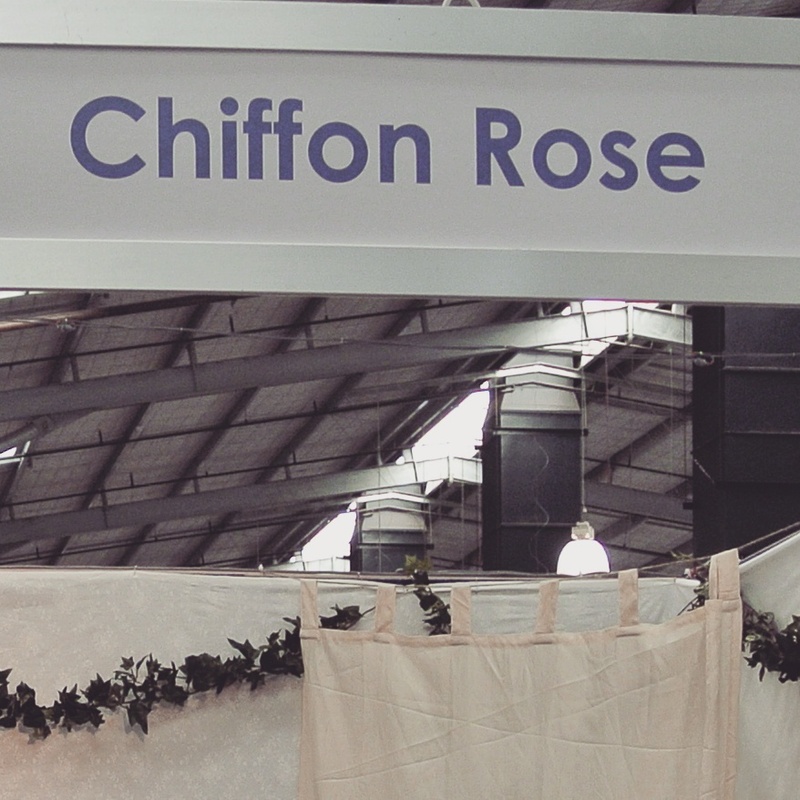 On a sunny friday afternoon our team headed to the Royal Melbourne Showgrounds to set up Chiffon Rose's first physical shop event! Supanova Pop Culture Convention 2015! 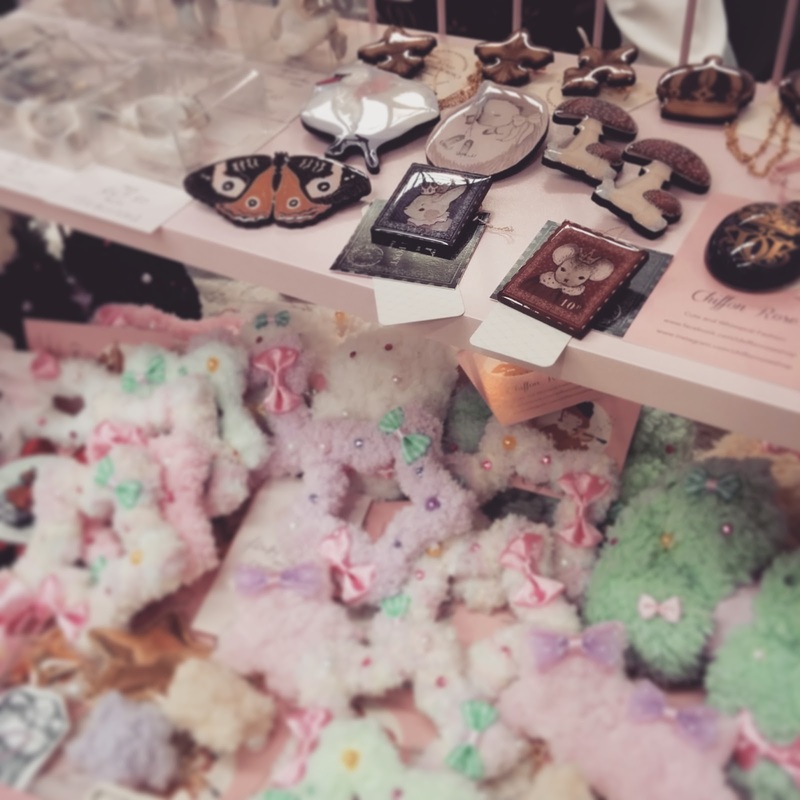 We thank all the lovely people that stopped by our stall - we really appreciate your support and hope you liked the cute things you took home with you! The event was such a success because of you! We are also very touched by the wonderful feedback we received from our Melbourne customers. 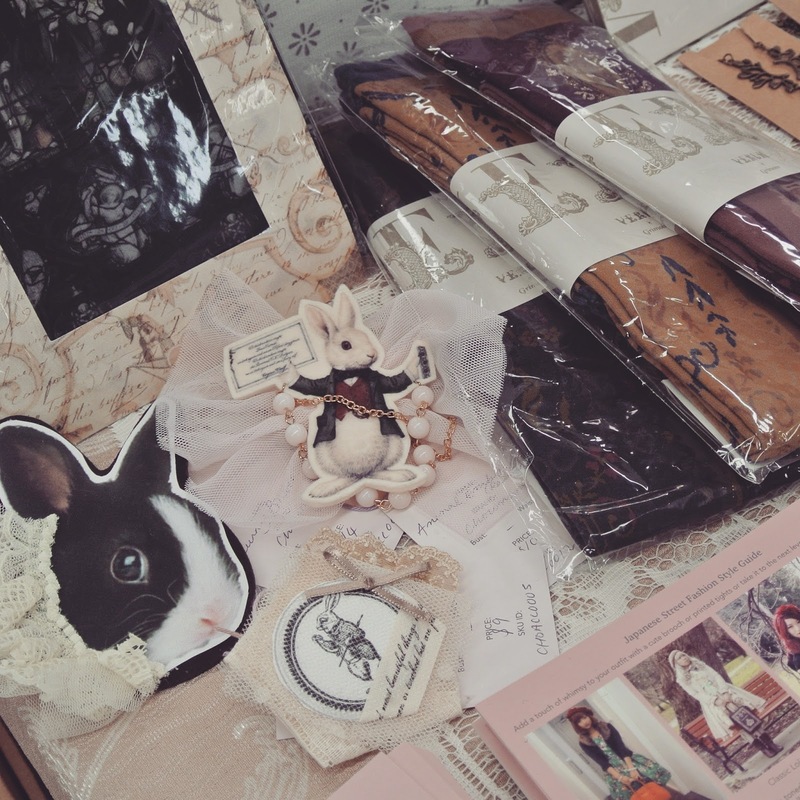 Our table was filled with the cutest accessories from pastel pink to woodland themed. Our stall draped in soft floral fabric, vines and mulberry bushes to mark the release of a new brand "Mulberry Chronicles". 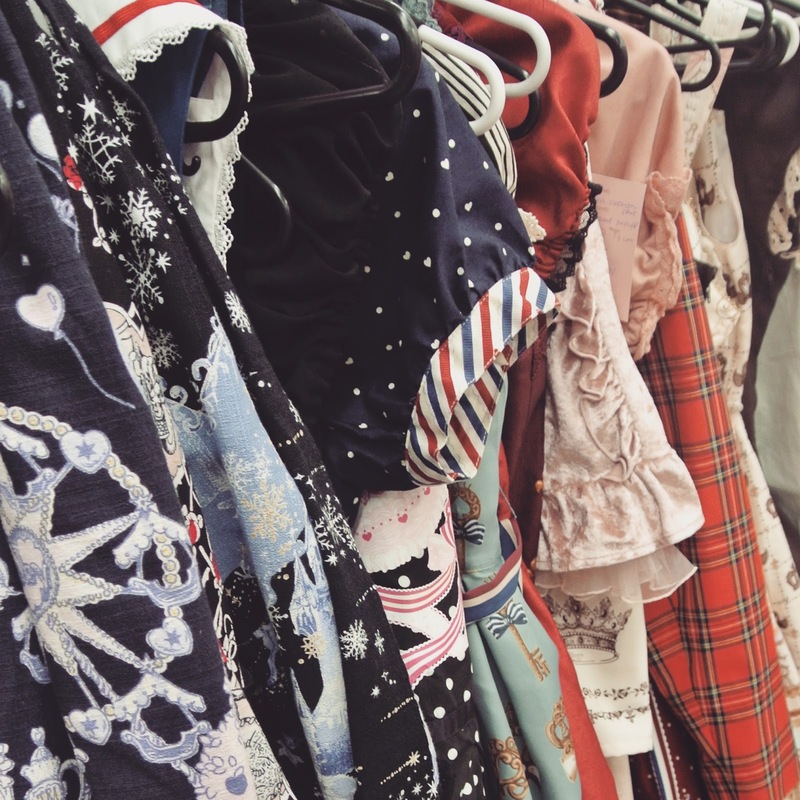 Plenty of second-hand Japanese brand clothing as well as new brands! 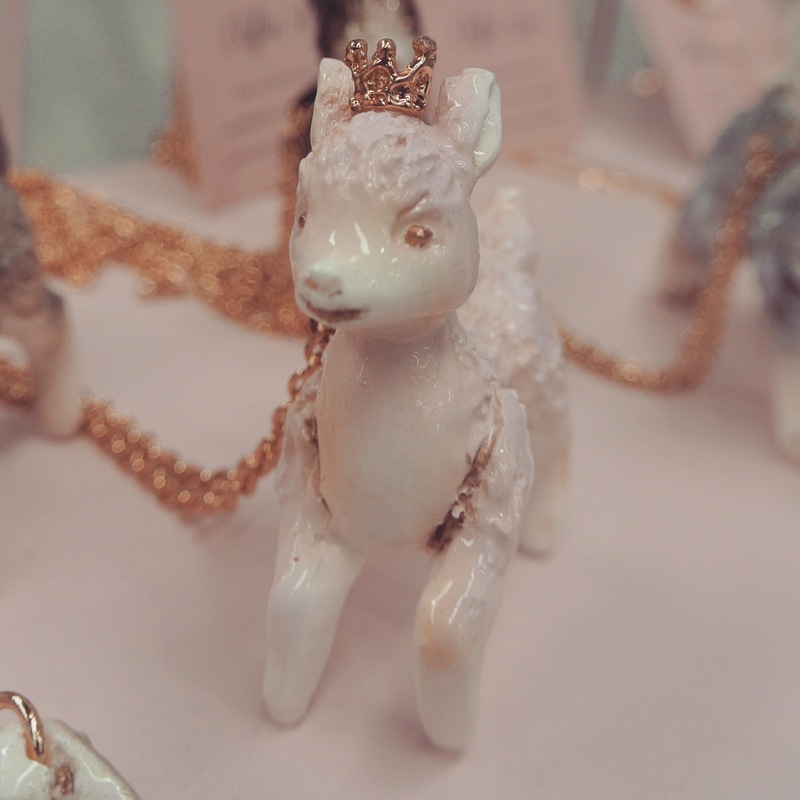 And our beloved Tokimeki handmade pendants and rings. 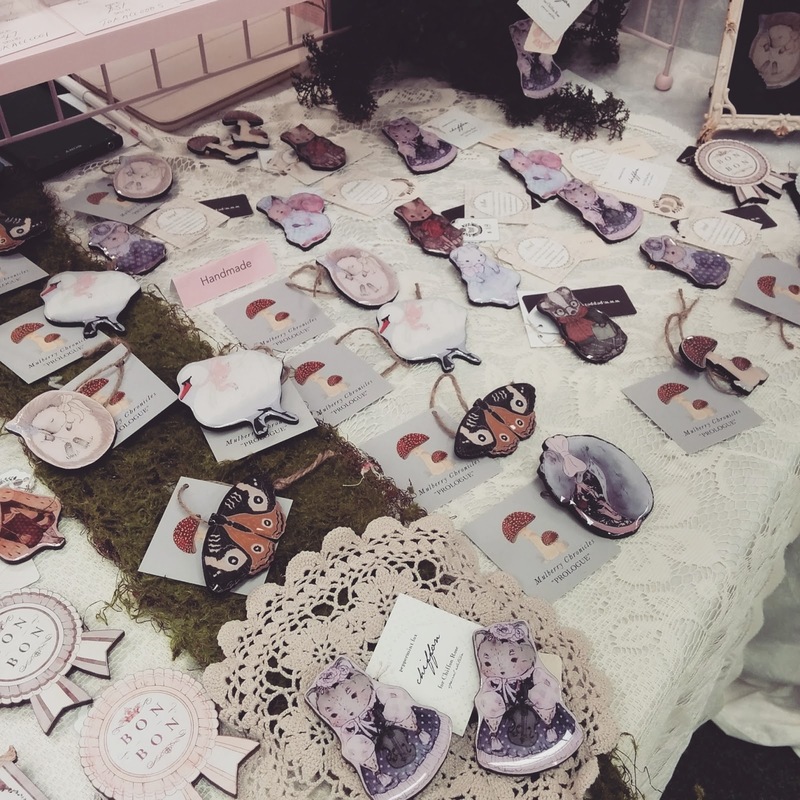 We were so happy to have the talented Peppermint Fox team with us at Chiffon Rose! 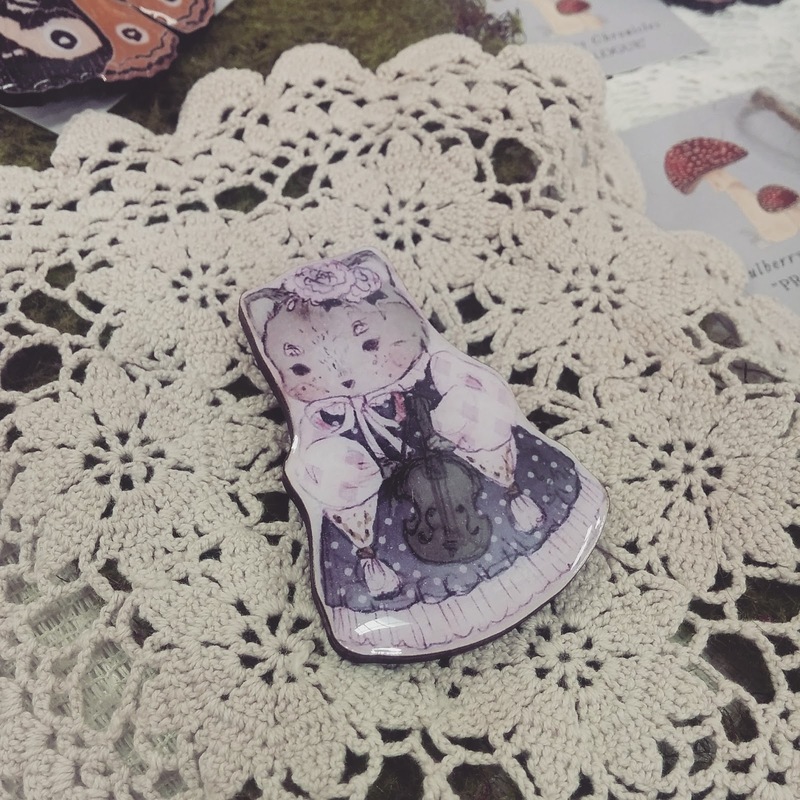 They also designed an exclusive tiny companion just for us. Her name is Chiffon and she loves practicing her violin and picking berries in the summer. Follow our facebook page for updates on her online release. Chiffon amongst other companions and new brands (below). 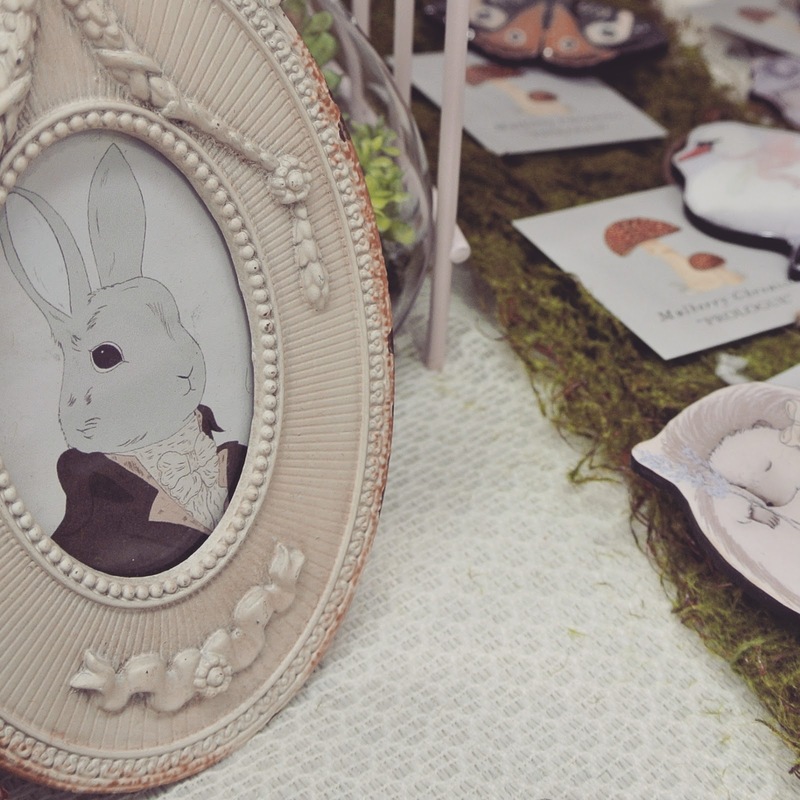 A closeup of a new brand display by Mulberry Chronicles. 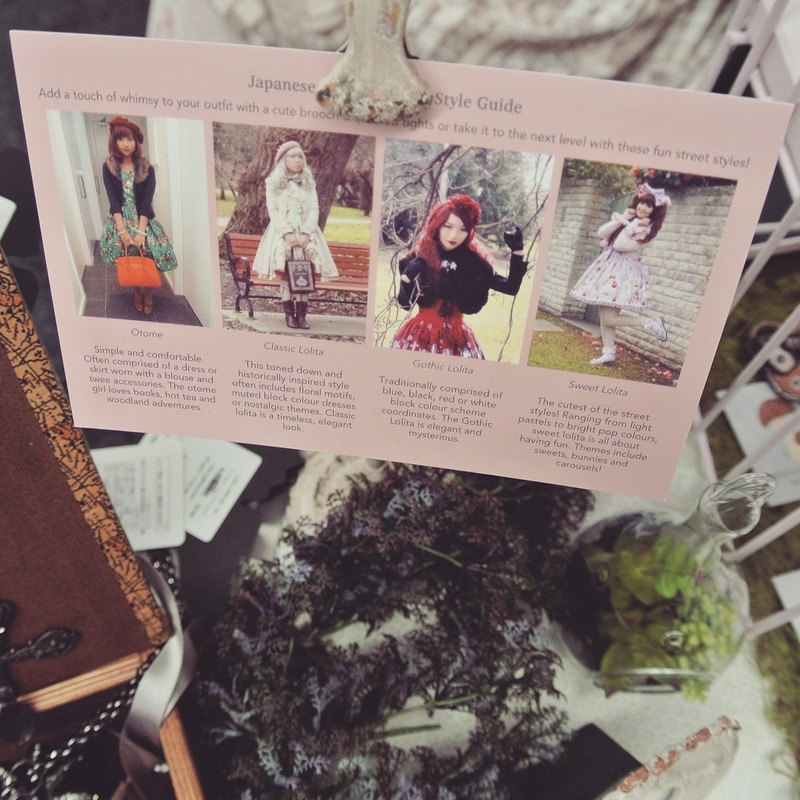 We provided little descriptions of different street fashions that our accessories and clothing could help to create! 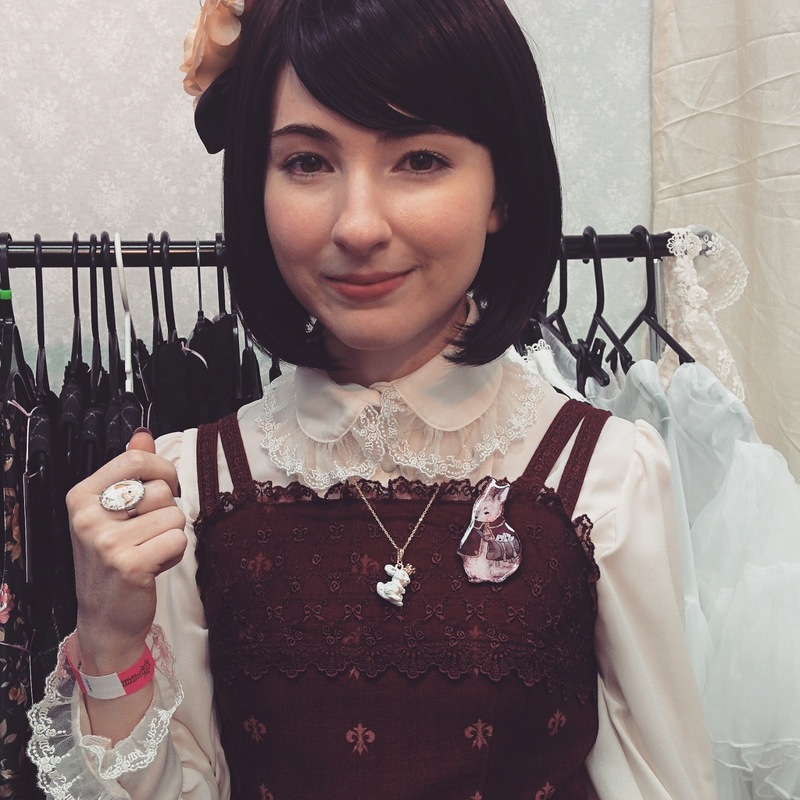 (Below) A beautifully dressed customer coordinating her rabbit themed outfit with a Tokimeki bunny pendant and Peppermint Fox brooch from our stall. We hope to see you all at a stall very soon! Wonderful, will you ever come to Adelaide?